ONCHAN, Isle of Man - January 4, 2017 – Millionaires Island, an innovative slot game developed by PokerStars Casino, an Amaya Inc. (Nasdaq: AYA; TSX: AYA) brand, is now available to play on desktop and mobile. The slot game, which is exclusive to PokerStars Casino players, carries a minimum jackpot payout of $1 million - and the launch jackpot is already up to more than $1.1 million. 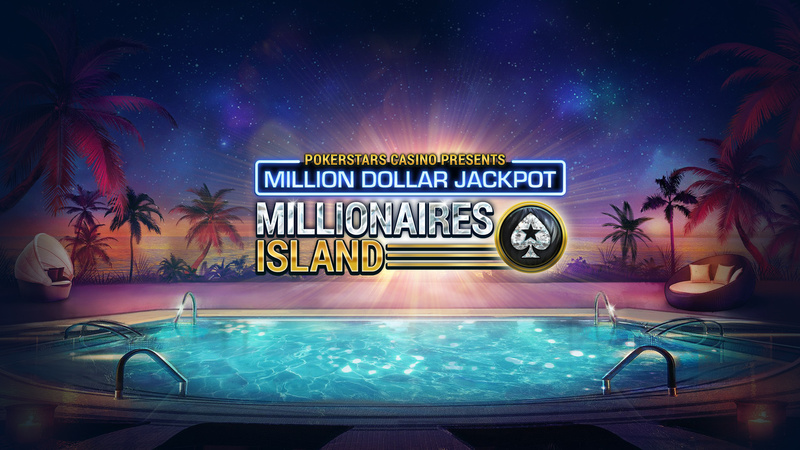 Players have the opportunity to hit a $1 million jackpot from wagers as little as $0.50 giving Millionaires Island players the chance to experience many winning moments with the chance to win life-changing prizes, while also earning rewards for simply taking part in PokerStars’ many games and offerings. Launching an exclusive slot game with the largest independent minimum jackpot in the industry provides PokerStars Casino with the unique, competitive edge to spur it on in its charge to become the world’s largest and best online casino. Millionaires Island is currently live on .UK, .COM and all European markets where PokerStars Casino is available. It is available to play at PokerStars Casino on web, downloadable desktop client and mobile app.